Eric, tell me a little about yourself, your background and how you became interested in restoring vintage Volkswagen parts? I grew up on outside of East LA in La Puente, CA. Both of my parents where high school teachers. My father from Ohio; mother from New Mexico both decided to settle in Southern CA. My Very First introduction to VWs was quite literally when I was 2 days old! My father purchased a 1958 blue ragtop sedan several years earlier. 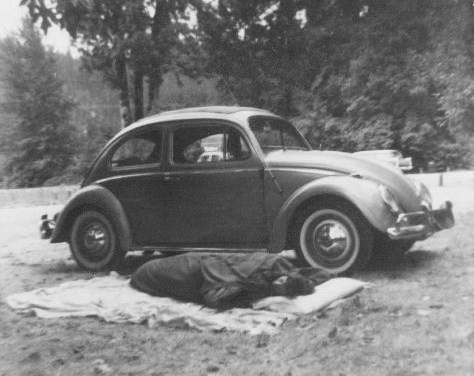 In the summer of ’61, pops picked both mom and I up from the hospital; my very first ride in a VW! He loves to tell the story about how he took out the passenger back seat and put 15-20 pillows in. He wanted Mom and I to be more comfortable as we all drove across country. The sound from the 36hp motor in my folks ’58 Ragtop, even way back then was like music to my ears. Simplicity and function is a big part of what drives my passion to restore these cars. Talk to me a little about your process. 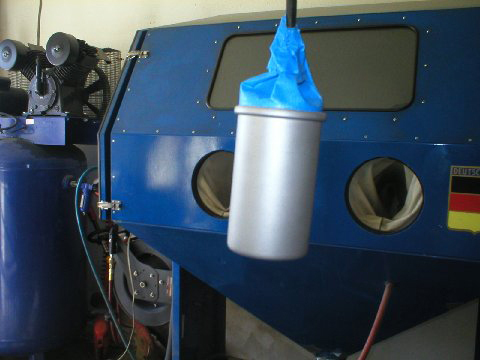 Where do things began when you work on a coil that needs restoring? #1: Check the resistance of the coil. If the resistance is good then check spark voltage. #3: Tape up the bake lite portion with your plug wire in the coil. Remove one end of the plug wire boot, then flange out the plug wire end connector that’s attached to the plug wire. You want about an eighth of an inch away from the wire itself to allow a good grip of the coil when installed. Once taped, media blasting is recommended. Do not sand or media blast the bake light. I recommend cleaning with a light wire brush and solvent. You can use sandpaper after cleaning the base of the coil to prepare the surface for paint. Using a heavy to medium grade sandpaper, and then stepping to a finer sheet until you reach an over all smooth surface. If you have no way of using a media blaster, sandpaper will work just fine. Be patient and enjoy the process! 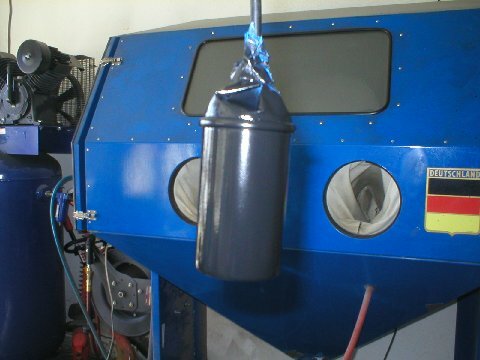 #4: Using a dark primer is recommended on the base of the coil. Next use a good enamel base coat paint. One good coat should be enough. #5: Depending on the temperature, the coil can take anywhere from 1-2 days to dry. Don’t rush it! Once the coil is completely dry, remove the tape from the bake lite and prep it for clear coating. #6: Cover the painted surface with a bag. Coat the bake lite with a good clear coat. Your local hardware store should have it. If not, you can easily order from Eastwood Industry. #7: Allow to dry overnight. Once dry, remove coil from the coil wire. Also remove the bag and tape from base coil. #8: Take your coil bracket that has been media blasted (or sanded) and apply a coat of primer. Allow to dry over night. #9: Finally! The last step is to re-attach the coil bracket. Apply a new 12v or 6v sticker. If you have done the process correctly, you should have a coil that looks as good if not better than NOS! What is the proper resistance for these original coils, both 6v and 12v (voltage per factory spec)? For an original VW 6v coil, your resistance in ohm’s should be (not less than) 1.6 ohms on both the short 3 1/2 inch coil and 4 inch coil. 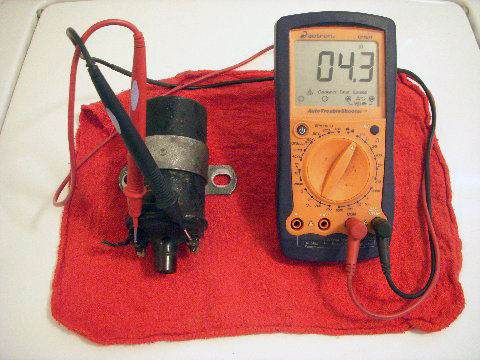 Voltage should read with coil installed and the key turned on in the ignition at 4.8 volts minimum or a little more for the 6v coil. For the 12v coil 4 inches in length, the resistance in ohms doubles to 3.2. Naturally resistance doubles from 6v to 12v. However, with the 3 1/2 inch 12v shorter coil your minimum resistance will read 4.2 ohms minimum resistance. The shorter 3 1/2 inch 12v coil resistance reads 4.2 ohms resistance do to additional internal coil windings. 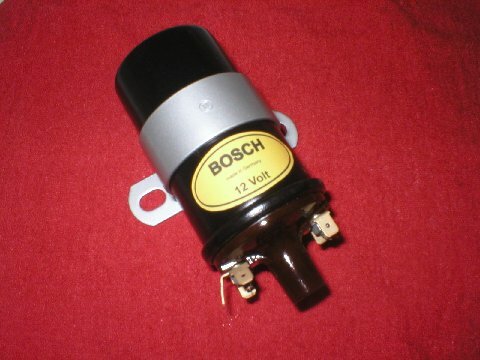 This gives the shorter original VW 12v coil a jump in resistance from the longer version. 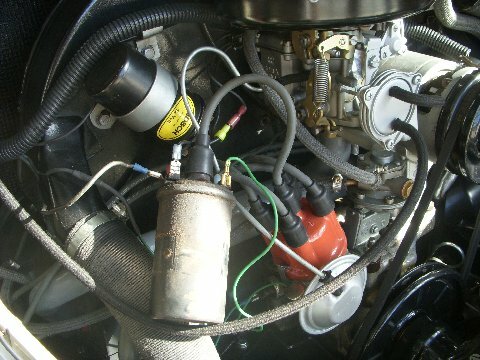 The 12 v coil installed and key turned on in the ignition should read 9.6v minimum or greater. Finally, for the 6v and 12v VW coils if both resistance (ohms) and voltage checks out to factory specs you are good to go! What type of life expectancy do the restored German and NOS coils have? The life expectancy of a 6v or 12v coil varies. Coils basically have no moving parts other than electrical current. The only way a VW coil will go bad is a sudden excessive surge of electricity that could fry the coil windings. Another way would be crossing the positive and negative wires to the coil. This will fry the wire loom and cause a break in the interior loop of the coil. What do you enjoy about the restoration process? Bringing back to life something that looks old and worn out. 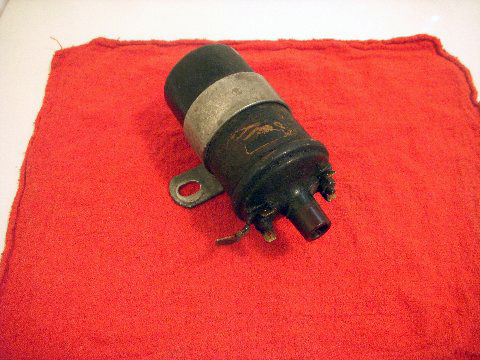 Finding an obsolete motor or vintage Volkswagen and putting it back on the road in most cases better than when it left the factory. It’s VERY rewarding! I also love the expressions from people when a restoration has just been completed. 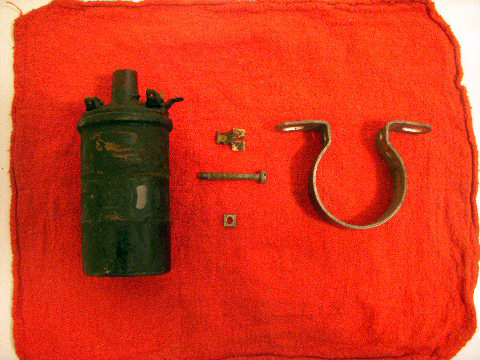 Cleaning parts on motors that have been sitting for 50-60 years. I often wonder on say a 36hp motor how two inches of caked on dirt could possible be in the cylinders and heads. It never ceases to amaze me at how much external grit and grime gets on these parts that have been around for such a long time. Another challenge is tearing open a vintage motor that looks great on the outside; yet when you take off the oil plate drain plug, water and corroded magnesium mixed with oil comes out the bottom of the engine. You then realize that the fun has just begun, and cringe at the condition of the internal parts. Usually at this stage the long block motor is a loss, and salvaging all the externals is all that is left. Do you keep stock of restored inventory for sale? 12v coils, 6v coils, and 36hp distributors. Sheet metal for motors, flywheels, 36hp heads and vintage 36hp motors. Cost would be at the top of the list. Give me your opinion on aftermarket replacement coils. vs restoring the German made units. Aftermarket replacement coils are just fine. It’s a matter of preference really. If you are a purist at heart like myself, then you’ll want to have an original coil installed. How can people find you if they’d like to inquire for your restoration services? I can be reached by email and through the Samba.com. Volkswagen enthusiast (in my opinion) are some of the most helpful, knowledgeable people on the planet. With each passing year I can’t help but continue to remind myself of a quote that my college philosophy professor once said years ago. “We do not quit playing because we grow old, we grow old because we quit playing!” Never Quit Playing! Eric, These interview are fantastic! You are a huge resource to the air cooled community. Keep it up!